In real estate, where referrals make a big difference to the bottom line, online social networks impact your potential for connecting with buyers and sellers. The significance of a solid social media strategy should be hitting home for real estate agents looking to grow their business. When it comes to implementation, the mechanics don’t have to be burdensome to your daily grind. A partnership with Homes & Land comes with plenty of built-in benefits, including an all-in-one Dashboard for sharing your listings to social networks, the just-released, invaluable Craigslist Posting Wizard for online classifieds, and scores of options for syndicating listings to your choice of nationally known real estate websites. In regard to the online social sphere, the Homes & Land Dashboard has direct-line interfaces with some of the biggest players in the game, like Facebook, Twitter and YouTube — all potential referral resources. Take strides toward reaching new prospects with the following tips. Create specific lists of friends to make your postings more targeted. For example, after clicking on the “Friend” button on the left side of the home page, click “Create List” and make a list for your prospects, a list for your past clients and a list for fellow Realtors. Read more about Facebook lists in this instructional post from Inman News. Use hashtags more effectively. One way that little tic-tac-toe pound sign can help extend the reach of your tweets is by using a hashtag with the cities where your listings are located. Tweets sent from the Homes & Land Dashboard do this — #YourCity — automatically. That hashtag will help align your listings with tweets that are already focused on that area. After Homes & Land automatically creates an EZ Tour Video for your listing, post it to YouTube from your custom Dashboard. Go one step further and add annotations with extra information about the house or the rooms, offering viewers a few useful details they weren’t expecting. Having looked at some tips for the most prominent social media outlets, it’s worth taking a quick tour of some sites that seem like outliers in comparison. You may not have accounts on the following platforms, but the up-and-coming millennial demographic are likely to be users. According to TechCrunch, Instagram is the fastest-growing social site globally. Designed for use on smartphones, Instagram has several photo filters that can easily add contrast or a soft glow to listing photos. The Internet’s bulletin board, Pinterest is popular as a means for cataloging photos of dream homes, gardening projects and decorating ideas, often with an emphasis on DIY and crafts. In fact, it’s the next feature soon to be added to the Homes & Land Dashboard. The video sharing site Vine helps you create six-second looping videos that can be shared quickly and easily — perfect for capturing a panorama of a home’s backyard or interior. Investing time to blog can seem like a daunting task, but with Tumblr, blogging can be quick and easy. Its layout features ample space for photos and text, as well as a “Queue” feature that allows posts to be scheduled over time. Live video “Hangouts” on Google+ could come in handy, especially for long-distance conversations that would benefit from having a maximum of 10 participants meet face-to-face. Demonstrate your digital marketing prowess by keeping an eye on social media trends. By taking advantage of real estate marketing tools from Homes & Land, you’ll find plenty of extra time for networking. 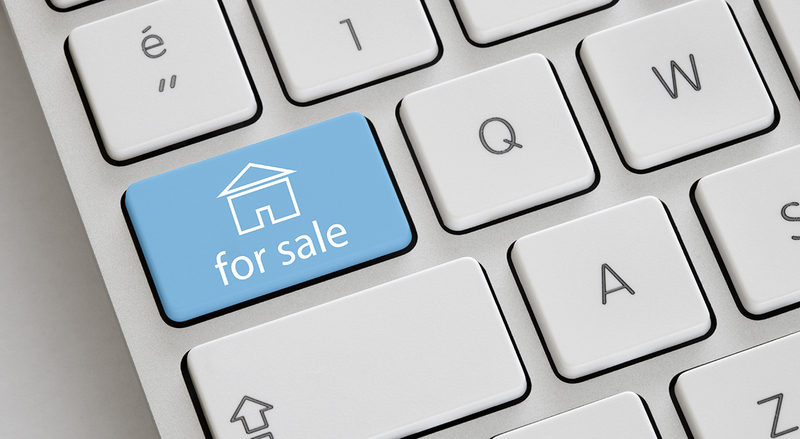 “Friend” or “follow” your local Homes & Land publisher on social media — then contact them to learn all the different ways an integrated marketing strategy helps you connect with more buyers and sellers.